Edition of 2830 of which 150 copies are signed 1-150; 26 are signed A-Z as artist's proofs; three sets are signed as progressives and 10 are signed as dedication copies. 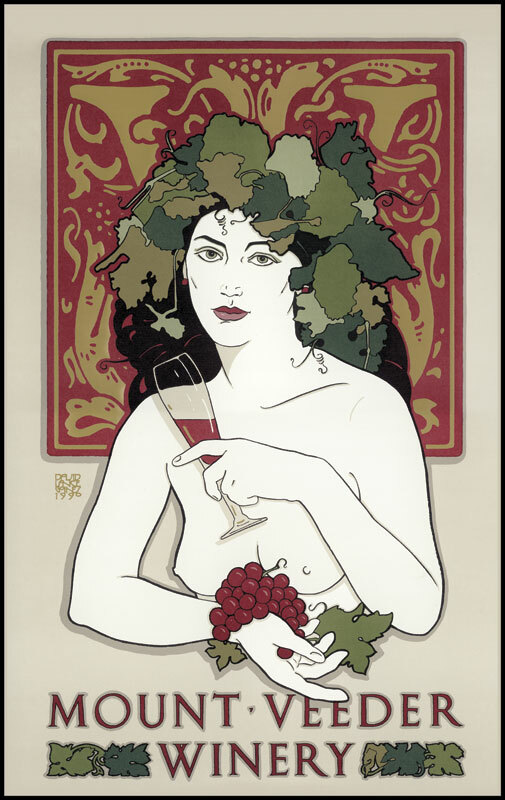 December 29, 1990 10 colors, including hot-stamped gold done by Apex Die 15-1/16" x 24"
What can we possibly say about wine, women and song that has not been said before? Not much, but there are some things of which we never weary. Every glass of wine is a new glass. Some bring joy, and open doors to love and laughter and good companionship; others contain nothing but the promise of temporary oblivion. Freighted with desire, every kiss is a new kiss. Some kisses say hello, and some kisses say good-bye. *While we live, let us live.